Following claims by Innoson Nigeria Limited that it has secured an order to takeover GTB, the bank has reacted. 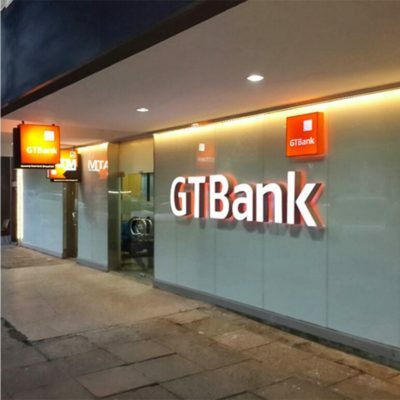 Guaranty Trust Bank says it is taking all necessary legal steps to ensure that no illegal or fraudulent execution is carried out by Innoson motors, with whom it has a long-drawn-out court case. The latest development is coming after Innoson Nigeria Limited on Friday had announced that it obtained a writ of Fifa from the Federal High Court in Awka, Anambra State, against GTB to effect the judgment given by the Federal High Court in Ibadan and upheld by the Supreme Court of Nigeria. "We have taken over GTBank in Awka and Nnewi," Osigwe subsequently announced, adding that "other branches are coming soon". However, the bank has moved to assure its customers of the safety of their funds, clarifying that the said judgement is applicable to the account of the Nigerian Customs Service Board domiciled with the bank, rather than the bank as an entity. “The attention of Guaranty Trust Bank PLC ("the Bank") has been drawn to statements circulating in the news and social media in respect of a purported enforcement of a judgement of the Federal High court, Ibadan, Oyo state, at one of its branches in Anambra state,” it said in a statement on Friday night. “The Bank remains committed to providing best-in- class customer experience to all its valued customers." the bank statement read.